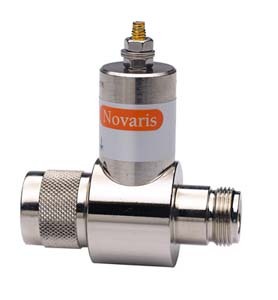 Novaris gas discharge surge protectors are capable of passing RF signals to 3GHz (limited by connector type). N-type female / female protectors are suitable for bulkhead mounting. Novaris surge protection products are housed in safe, all metal enclosures. In the event of a prolonged overvoltage they will not catch fire and explode. Novaris tuned stub surge protectors employ quarter-wavelength short circuit stub technology. Suitable for narrow bandwidth applications where no DC voltage is injected. RF power and surge rating are limited by the cables and connectors only. Novaris high power surge protectors suit applications including MF, HF and VHF transmitters to 50kW. 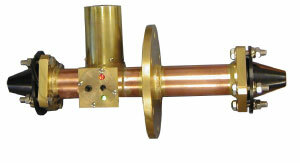 The spark gap arrester has an optical arc sensor which may be used to momentarily interrupt the transmitter.